I was unhappy with what Amazon showed as a sample, so I changed it! Gotta love complete control of your content. 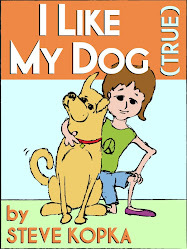 When you go to the Kindle page for I Like My Dog (True), you can "click to take a look inside". 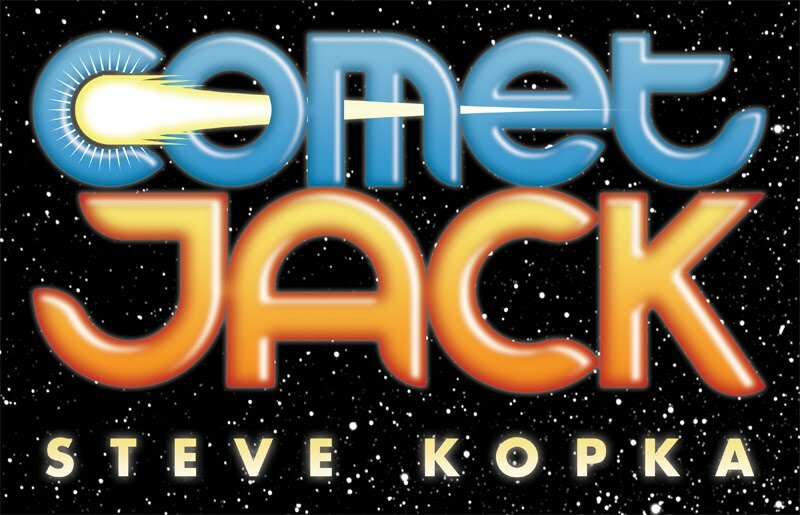 With Comet Jack, you can read many pages before you decide whether to buy the book, but I Like My Dog (True) showed only the cover and part of the title page. Since both of those pages were based on the same art, you only really experienced one illustration. As a consumer, even if I liked that one page, seeing the same artwork twice might make me think that's all there was! So I made a new title page, with this artwork. It includes small versions of the artwork from many of the interior pages. While you still can't read very far into the book, at least this gives a sense of the action to come. 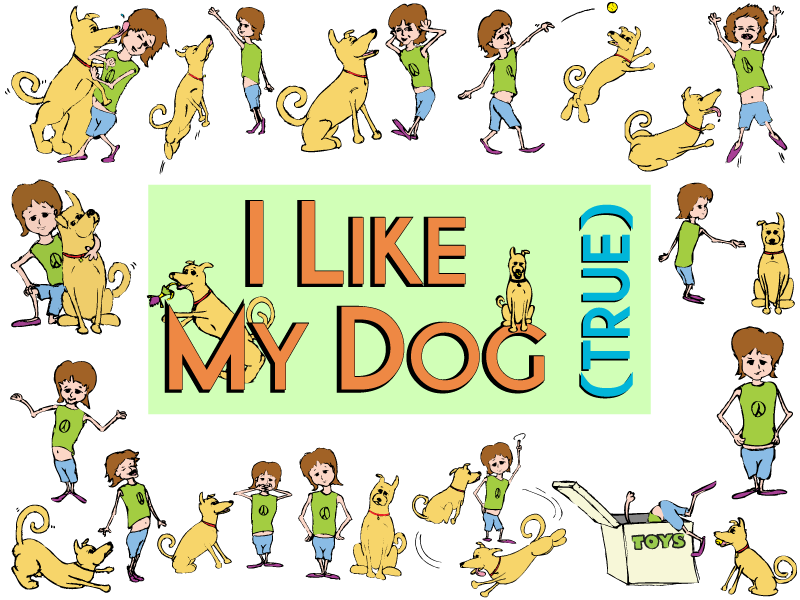 I Like My Dog (True) is out! My first picture book is now available on Amazon and B&N. The girl in the story tells you about her dog and herself, as if she's putting on a play for you, and asks you some questions too. The dog is somewhat dubious of some of her claims, but it's clear they are the best of friends. I did the illustrations myself, for better or for worse. The better: I think they look good in color, and they definitely have that independent homemade-with-care feel to them (outsider art, anyone?). Consider them folk art with a little help from the computer. So what's the worse part? Obviously there are better artists. Still, I've watched some readers chuckle where intended, so I think the pictures get that part of the story across. But that's probably all I should say about that, lest you expect too much from my first picture book. I do really like the story, though, and hope kids will love it. Currently available for Kindle and for Nook. They look best in color, but I colored the pages such that they would look good on a black & white Kindle too. You can get apps for your iPads, iPhones, Android devices, computers, tablets, whatever, if you're like me and you don't (yet) own a Kindle. 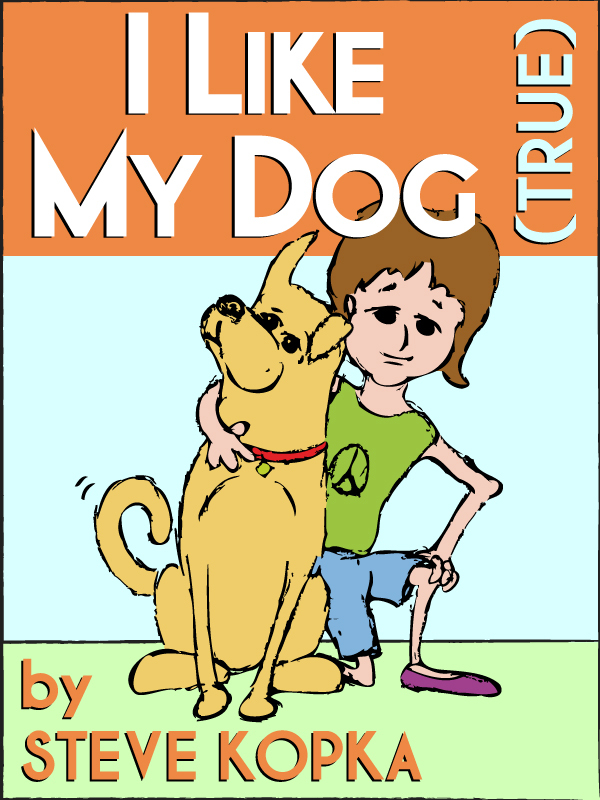 I Like My Dog (True) for Kindle. I Like My Dog (True) for Nook. 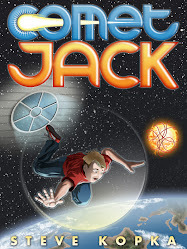 Writer of Comet Jack and other fiction. Parent, aikidoist, groundless optimist. 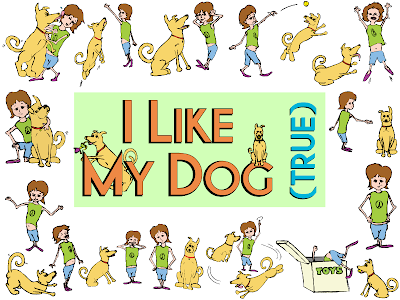 I Like My Dog (True) now available! © Stephen Kopka 2011. Picture Window theme. Powered by Blogger.